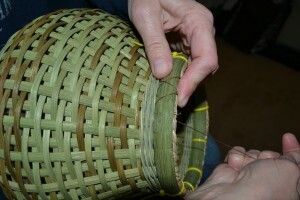 Now bring the lasher over the rim and back to the outside. 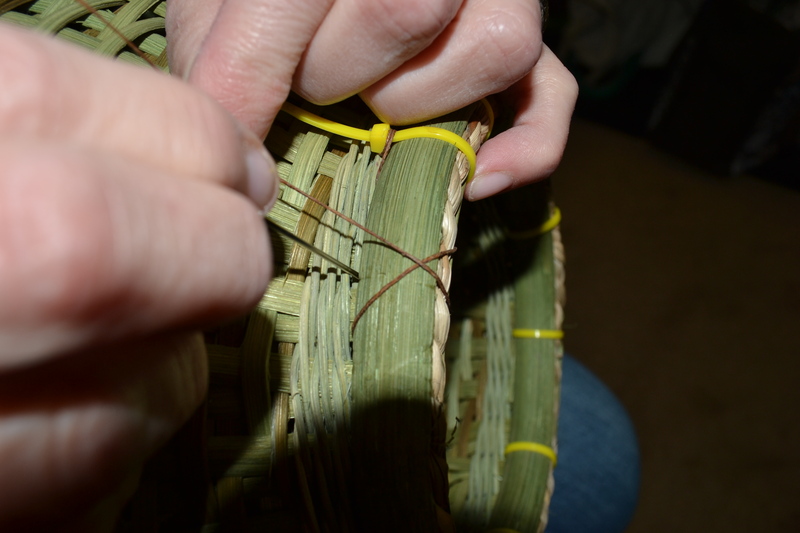 Including the space the waxed linen just went through, count forward two spaces, thread the waxed linen from outside to inside in this space. 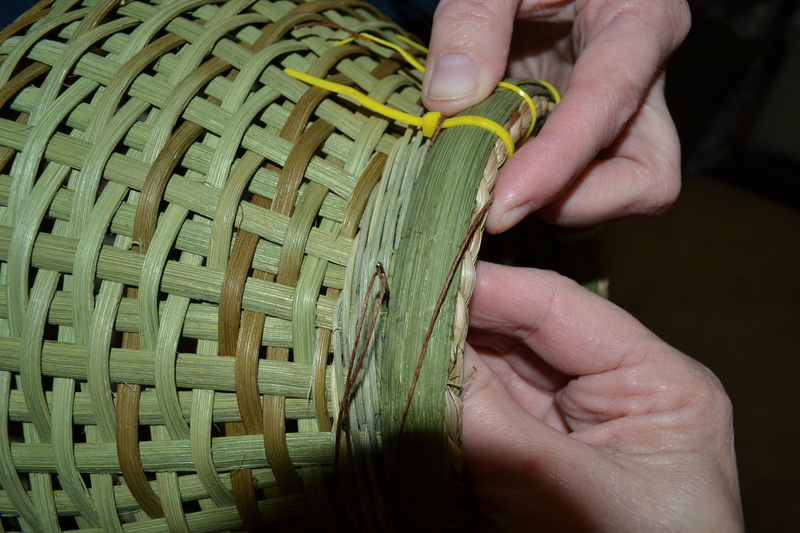 Next, bring the lasher to the outside of the basket, count one space back, and thread the waxed linen from outside to inside in this space. bring the lasher back one space. 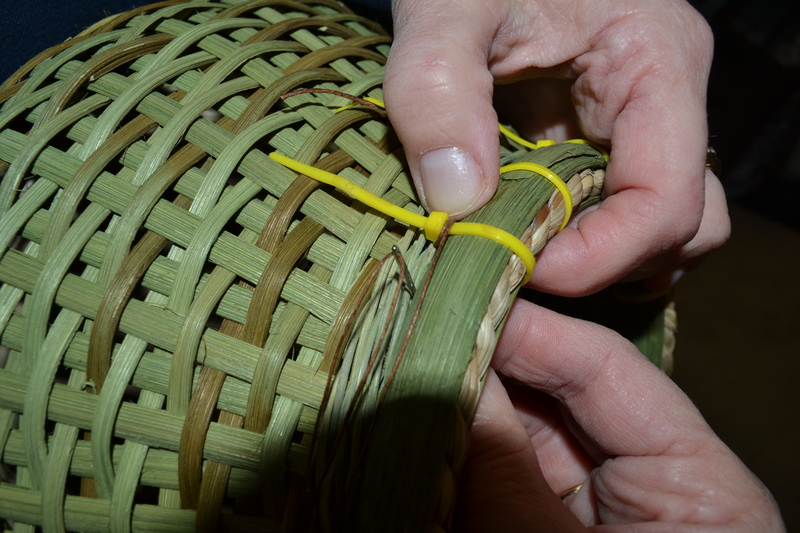 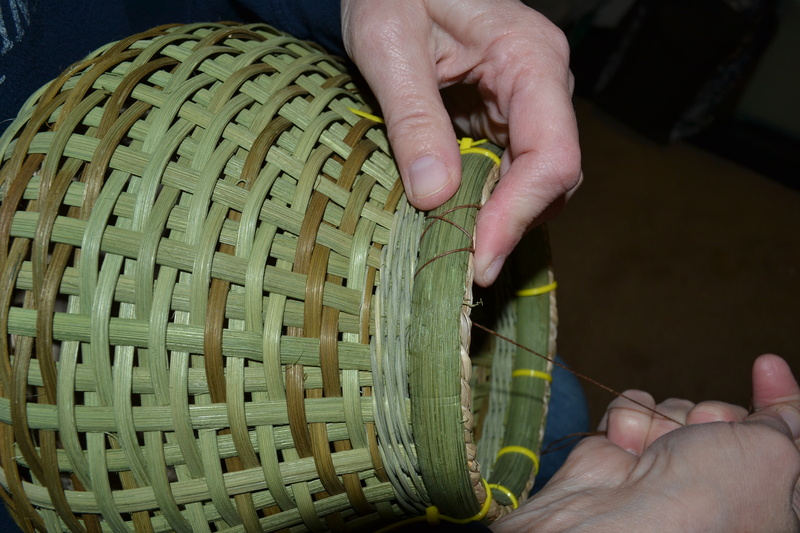 Repeat these steps and the lasher will create an X on the outside and an X on the inside of the rim, all while lashing around the basket once. 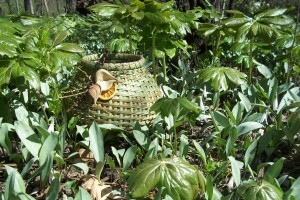 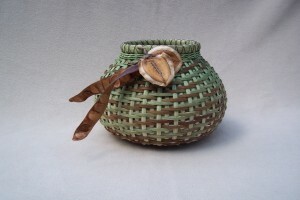 The completed basket – Arisaema.